We are involved in offering a comprehensive array of furniture locks that are applicable on glass, wood and steel furniture. 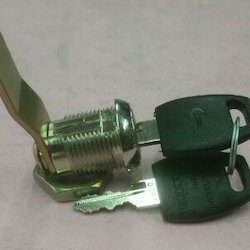 These locks are made out of various metals and are offered with a combination of different keys. Sourced from reliable vendors, these locks are perfectly matched with various security demands of client. Used for lockers, metal panels, electrical units and steel & wooden furnitures, these locks are available with master key system. 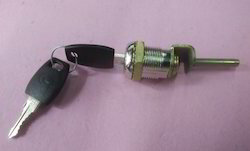 Introducing Ultra security Lock for the first time which can be used in safes aswell as in Almirahs. Red and blue colour Keys looks very ellegant. 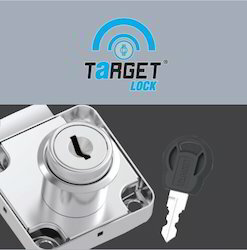 Multi Purpose Target brand lock with 2 steel keys with plastic moulded key heads. Different barrel lengths 22mm,26mm and 32mm are available. 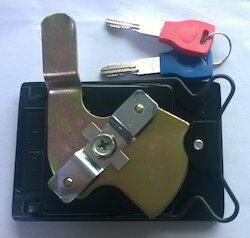 Target brand lock with 2 Steel keys with plastic moulded keyheads. Available in different barrel lengths 22mm,26mm and 32mm. 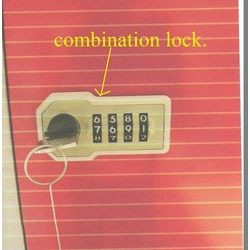 It's an 4 digit Combination locks for Almirah main doors and lockers. It comes with operating options. Beautifully designed and very convenient to use. Available in two colours White and Black. Keys not required for the daily use. Password can be changed when the lock is in open condition. Lost password can be retrived very easily with the help of the key. It's an 3 Point locking lock especially being used on swing door of almirahs. Keys are longer and are moulded with blue and red colour plastic key heads which looks very elegant. 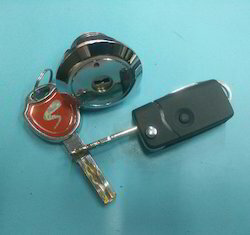 Cam type Almirah lock with FLIP TYPE KEYS which are generally being used in High end cars like Honda and Audi. It also has an LED which is useful at night. Core and Keys are made up of brass. Generally being used in Almirah main doors and coffers. Customer Logo can be lasered. Cam locks for industrial lockers. We can provide cam locks with 6lever and 10lever with a masterkey arrangement. Diff key combinations are available. 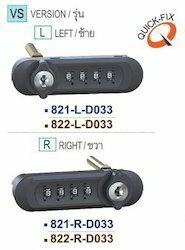 These are CYBER LOCK Brand key less locker combination locks. Generally being used in gym,spa,school lockers. No fuss about the keys. Very easy to retrieve the passport incase a person forget with the masterkey. 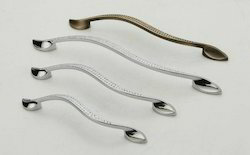 Introducing a New range of Zinc alloy handles especially for Almirah/Cupboard doors. Available in Bright Chrome finish. These are CYBER LOCK brand 4 digit combination locks for wooden/Steel Pedestals. Available for left aswell as for Right side both. 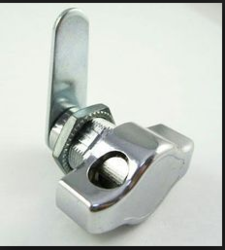 We are offering a state of the art technology of digital cam locks.Available in 20mm and 30mm length for sheet metal furniture and wooden furniture.Password can be from 4-15 digits. 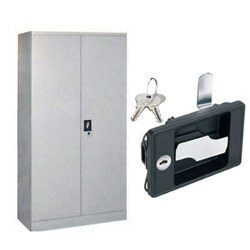 Same lock can be used for lockers,pedestals,filing cabinets and swing doors. 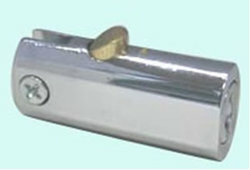 It's a cam type lock which can be installed on small safes,coffers and almirah's main door and lockers. It has got dimples on the keys which gives number of non interchangeable combinations. Keys are made upof brass. It's a steel cupboard lock capable of locking in 3 directions. Similar to the one which Godrej uses in its SLIM LINE range of Cupboards. Lock body made upof zinc alloy and then silver powder coated. We are a preeminent organization that is involved in wholesaling, importing and exporting a broad spectrum of Standard Cam Locks. • Zinc die cast body with nickel plating. • Reversible brass keys with integrally moulded plastic key heads. • Option to choose from 6 lever and 10 levers. • Available with 90degree and 180degree key removable and non-removable option. • 2000 Non-interchangeable key combinations available. • Master key system available. 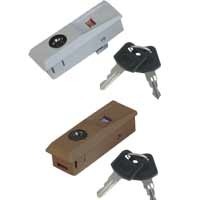 • Can be available with Laser keys and computerised keys. • Used for lockers,metal panels,wooden/steel furnitures,electrical units etc. Person/employee can use their own pad lock and can take care of his belongings. So management does not have to take care of their keys. A versatile lock and a economical lock suitable for steel and wooden furniture drawers,lockers and cupboards. It's a 5 lever cam lock. Keys are brass nickle platted. 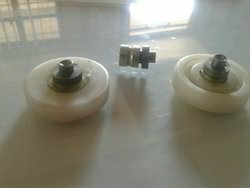 We can supply the bearings made upof Delrin material. We can supply the same in 16mm,19mm,22mm24mm,26mm and 30mm.These bearings are mostly used in steel and wooden furniture drawers. 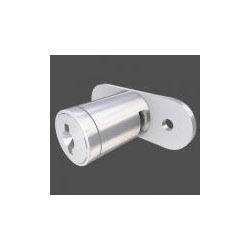 We can supply Filing Cabinet Lock for lateral filing cabinets and plan filing cabinets. 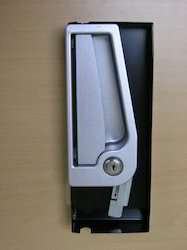 These are the locks very similar to that of Godrej which are being using in their filing cabinets. 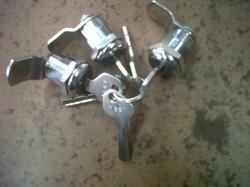 We can also provide you filing cabinet locks that are recently being used in pedestals.These 6 lever lock gives appro. 200 different key combinations. Keys are made upof brass and levers are made upof brass. 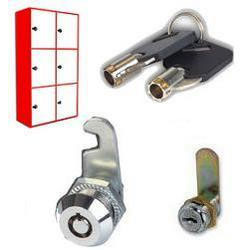 We are engaged in importing, exporting and wholesaling a commendable range of Steel Cabinet Locks. 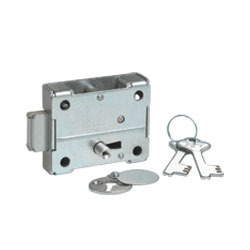 Our offered locks are obtained from the accredited vendors of the industry who develop the same in accordance with the industry set norms and guidelines. Prior to dispatch at the customers' end, these locks are checked on various parameters. Used for lateral filing cabinets. 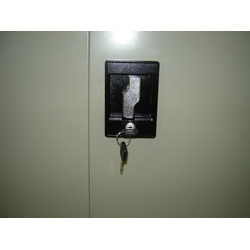 It's an locker lock where in you can use pad lock for locking the locker. Pad lock will restrict the movement of the cam plate. System is an improvised verion of haps and staple arrangement. 3 Shooting bolts are made upof SS material for better strength and hardness. Heavy guage CRC material being used. Mechanism is capable of locking in 3 directions top and bottom with the help of rod and side way with the help of SS shooting bolts. All 3 directions can be locked just by the turn of a key. Fine workmanship ensures smooth operation. It's an 10 Lever cam locks. We can provide 2400 different key combinations. Keys and levers are made upof brass and body is of zinc alloy. Beautifully designed compact shelving lock for swing doors of Almirahs. Now available with longer keys and with coloured plastic key heads. Its an Recessed handle lock also called cabinet lock aswell as Mercury lock. 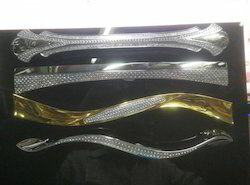 Used for swing doors of steel Almirah and Cabinets. 2 bigger and stronger brass keys with colourful plastic keyheads which is adding to the beauty of the lock. Available for left aswell as right doors. 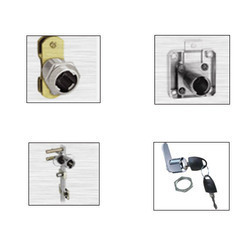 We offer a wide collection of Cam Locks. 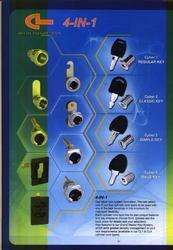 Our range of cam locks are made of various metals and are perfect match with clients security demand. Zinc die cast body with nickel plating. Reversible brass keys with integrally moulded plastic key heads. Option to choose from 6 lever and 10 levers. Available with 90degree and 180degree key removable and non-removable option. 2000 Non-interchangeable key combinations available. 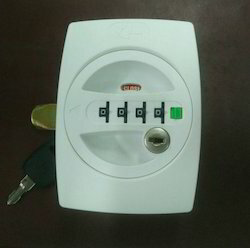 Can be available with Laser keys and computerised keys. Used for lockers,metal panels,wooden/steel furnitures,electrical units etc. We offer a wide range of Cupboard Locks that find wide application in storewels, almirahs and cabinets with swing door facility. Keeping the client demand in mind, we make sure that we source our range as per their specific needs and requirements. 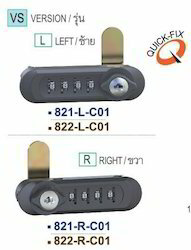 3 way locking mechanism wherein movement of the handle gets restricted by a turning of the key. Main body is made of high quality zinc alloy powder coated with black and handle with chrome plating. 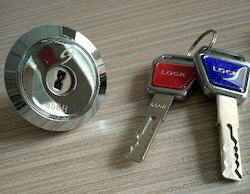 Two reversible keys with Integrally moulded plastic key head. Available in a combination of 1000 different key (non-interchangeable). Masterkey as per client's requirement. Generally being installed on personal lockers in gyms, BPOs, industries etc. We offer a wide range of Recess Handle Lock that find wide application in storewels, almirahs and cabinets with swing door facility. Keeping the client demand in mind, we make sure that we source our range as per their specific needs and requirements. 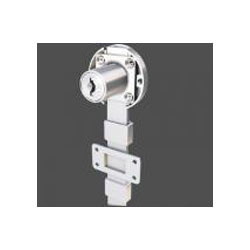 Owing to our vast experience, we have been successful in catering to the requirements of our esteemed clients by offering high quality Standard Push Lock. 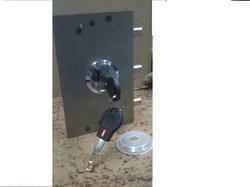 These locks are procured from vendors of high repute who use excellent quality material in the manufacturing process. Our range can be used for sliding units that are made of wood and steel. 6 lever Godrej Almirah lock with 2 flat brass keys. Body and bolt made upof CRC Sheet. Sliding locks are being installed on sliding cabinets. They are installed in the middle where the two door/shutters overlap each other. Two brass reversible keys with plastic moulded key heads. Its a multi drawer lock front mounting for locking 3 and 4 drawers. 6levers with 2 brass keys with plastic moulded keyheads. Lock available with aluminium bar and pegs. 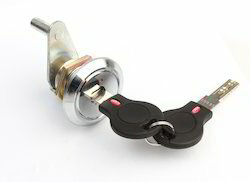 1000 diff key combinations available with a master key arrangement. Removable core barrel system also available upon request. 6levers with 2 brass keys. Available along with aluminium bar and pegs. 1000 diff key combinations available along with a masterkey arrangement. We offer a comprehensive array of Wooden Furniture Locks for diverse application on steel, wood and glass door furniture. The wooden furniture locks are offered with a combination of different keys such as laser, regular and dimple as per the requirement of the clients. 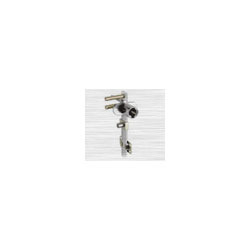 Apart from offering the variety, we supply the locks along with a master key system. Removable core barrel type locks can also be made to order as per client needs and usage.